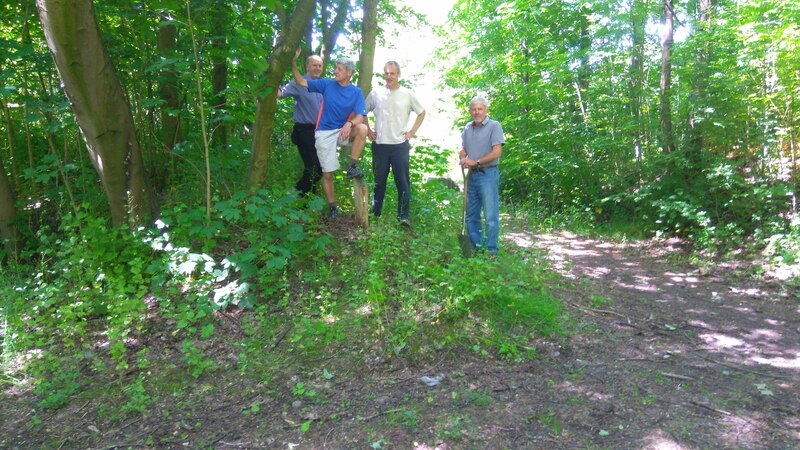 All 5 Bolton Parks’ POCs were tidied up last week … missing posts replaced, some posts moved out of undergrowth. Photo shows the team having just moved post B at Moses Gate Darcy Lever. I’ve just completed checking Heaton Park. All the posts are present and correct but you’ll have a job getting to control Z until the wee festival that’s going on finishes at the end of June because it’s behind the crowd control fencing. On the other hand the Park is as pretty as a picture just now.